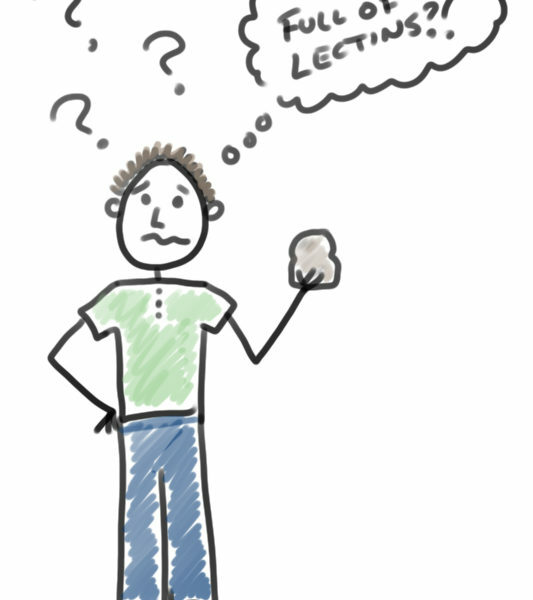 The word “lectin” is often misused within the Paleo community. You’ll hear phrases like “grains are bad because they’re full of lectins”. While this is basically true, not all lectins are bad. Lectins are a large class of carbohydrate-binding proteins found in all forms of life, including the human body. Many types of receptors embedded in the cells in our bodies are lectins. A group of proteins essential to our innate immune systems, called complement proteins (because they “complement” the activities of inflammatory cells by providing a rudimentary targeting mechanism for this otherwise non-specific part of the immune system), are lectins. This is why labeling a food as “full of lectins” is inaccurate and the type of phrase that opens up the Paleo diet to (valid) criticism. In plants, the roles of lectins are still being identified, although they appear to be part of the plants’ natural defense mechanisms and to be important for seed survival (why lectins tend to be concentrated in the seeds of plants). they can stimulate the immune system (proportional to how much enters the body and type of lectin). There are really just two classes of lectins that are known to be problematic for human health and have the above properties. The first are called prolamins (gluten is an example of a prolamin), so called because of their rich proline (an amino acid) content. The second are called agglutinins (wheat germs agglutinin, kidney bean lectin, and soy lectin are examples of agglutinins), so called because of their strong ability to agglutinate (or make clump together) red blood cells (they also happen to be rich in proline). Phytohemagglutinin, also known as kidney bean lectin. Both prolamins and aglutinins (there are many many proteins within each class) affect the type of bacteria that like to grow in your gut (in a negative way, typically preferentially overfeeding certain strains like E. coli). They are also very good at crossing the gut barrier and there are actually four known mechanisms through which prolamins can enter the body (one of which is dependent on genetic susceptibility and it remains unknown if the other three occur in everyone or vary from person to person) and three known mechanisms through which agglutinins can enter the body (which appear to be independent of genetics, although more studies are required). Not all of these entry pathways damage the gut barrier, but some can (again, genetic susceptibility may play a role, but more research is needed). By the way, I should mention that the exact mechanisms of how these proteins enter the body and potentially damage the gut barrier are discussed in detail in The Paleo Approach (in a way that anyone can understand with illustrations, so don’t let that intimidate you either!). Once these proteins enter the body, they interact strongly with the immune system (typically stimulating inflammation, but the adaptive immune system can also be affected). The distinction between prolamins, agglutinins and lectins in general is why you’ll see more and more people within the Paleo community using the term “toxic lectin” or being even more specific and using the terms prolamin and agglutinin. However, even within these two classes, some prolamins and agglutinins are more damaging than others. For example, the agglutinins in many types of legumes can be reduced by soaking, sprouting and fermenting and largely deactivated by heat, especially during prolonged cooking. And the concentration of agglutinins in different types of legumes varies dramatically. In fact, legumes with edible pods like green beans, sugar snap peas and snow peas are generally endorsed on a Paleo diet because the concentration of agglutinins is low and the instability of the agglutinins in these legumes means they are typically rendered inactive by cooking. In other types of legumes (soy and peanuts being the biggest culprits, but also some types of dried beans like kidney beans), the agglutinins are very resistant to deactivation and degradation. Wheat germ agglutinin is so resistant to deactivation through even traditional food preparation methods, that even consumed as part of your food, it qualifies as a biologically active compound in our digestive tracts (that would not be a normal classification for a protein in food!). There are no comprehensive studies that measure the amount or the different types of prolamins and agglutinins in different grains and legumes or their stability with different food preparation methods. Until these details are better understood, the Paleo diet omits all grains and all legumes (with the exception of those with edible pods as already mentioned) due to the potentially detrimental effects of prolamins and agglutinins on human health. It also doesn’t help that these are high glycemic load foods, with incomplete protein that is harder to digest than animal protein, and with lower vitamin, mineral and antioxidant density than fruit and vegetables (which is what a Paleo diet endorses consuming instead of grains and legumes, and something I personally feel very passionately about including in large amounts in my own diet). So now you know that it’s more accurate to say “I don’t eat grains because they contain prolamins and agglutinins”… although admittedly, that doesn’t roll of the tongue as easily! Mechanisms of interaction with the gut barrier and the immune system are summarized with dozens of references in The Paleo Approach. 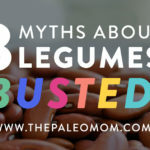 3 Myths About Legumes — Busted! Hi, thanks so much for this article, which was extremely informative on a topic that I’m just beginning to learn about! I just bought Sun Warrior brand “Warrior Blend” protein powder. It contains pea protein (and the peas were picked from the plant while still full of moisture, not dried – I emailed them to ask), hemp protein, cranberry protein, and coconut MCT’s. Is this protein powder, then, potentially troublesome for someone on the AIP diet to heal their gut, because of the pea protein? Apparently, it is uncooked. Thanks for all your wonderful guidance! 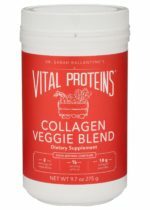 I would generally say that this protein powder is probably fine for someone following a standard Paleo diet and potentially problematic for someone who needs to follow the AIP (both due to the pea protein and the hemp protein). You might still want to experiment with it and see if it works for you, but I would suggest caution. Oh, my goodness! It didn’t take you long at ALL to reply to me! I’m so profoundly grateful, and appreciate your sage advice on this matter! I am definitely following the AIP. I’m dismayed because I had been hoping that the pea protein might be similar enough to the snap peas and sweet peas mentioned as “safe” for AIP – oh, well. It has been mentioned on Hashi’s 411 and if you don’t mind, I’ll pass along your reply to those on AIP who are considering it. Thank you again! Looking forward to your book! I bought the cookbook e-book already, and have loved the recipes made from it. I look forward to the cookbook being in hardcover sometime. Your more scientific posts as so appreciated. Thank you! Wow! Super interesting. 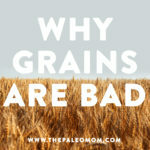 I have been following an almost Paleo diet for about a year now, and have always had a very vague understanding of why grains and legumes aren’t included. I’m curious if you know how one can tell if prolamins and agglutinins really cause a negative reaction in their body? Obviously they are detrimental to everyone, but do the symptoms vary? For instance, I find that I have a lot of problems with soy, but can eat peanut butter for days and FEEL fine. I will definitely be pre-ordering your book. This is incredibly valuable information! For some people, the reactions are obvious (especially after an elimination diet). But for others, the build-up of the effects of these proteins could be what contributes to diseases we consider to be part of aging. Still others might tolerate them just fine. It’s still unclear to what extent genetics (and other diet and lifestyle factors) play a role (for example, stress plus prolamins may be the problem). I have been on the Paleo diet for 5 months now. I have celiac disease, fibro, and lots of food intolerance issues. I always thought peanut butter was one of my best, most safe foods. I don’t see any digestive reaction to it. Does that mean it is OK for me or can it still cause leaky gut with no obvious symptoms? I am looking forward to buying your book! 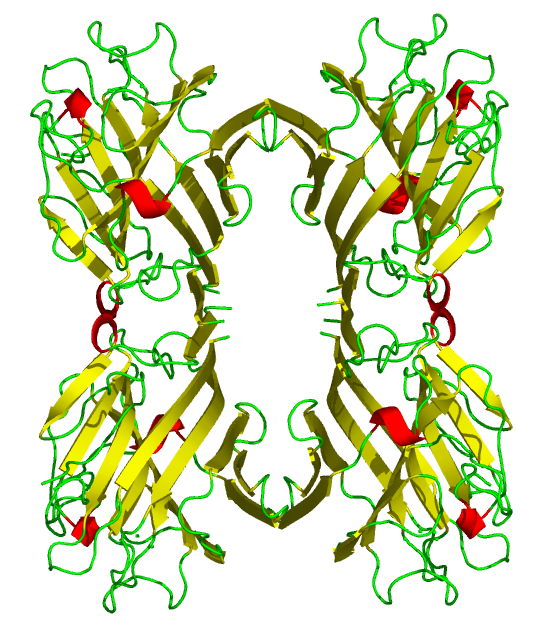 Peanut lectin is a very potent immune stimulator. If you started with “I’m perfectly healthy”, I would say “If it’s working for you, go for it”. But, if you’re having issues with immune and autoimmune conditions, I think a peanut-free trial would be good idea. Are scientists concerned about the lectins in fresh green beans? I realize they’re part of the kidney bean family. Does steaming green beans help destroy lectins? Or must they be boiled? And what’s the deal with nuts and seeds? Are scientists concerned about the lectins in any nuts or seeds? Does soaking help remove them? What about pumpkin seeds? Susan, I have also a lot of food intolerance, however no digestive issues. For instance, my gluten intolerance primary symptom is dermatitis. I removed dairy products from my diet and my extremely severe menstrual pains became moderate. I transitioned to the Paleo diet (the standard dairy free version, not AIP), and I’m really feeling better. I went Paleo to try to repair my messed up hormones, that’s just my weak point. Other people might have healthy hormones and a laundry list of digestive issues. We are all different, so no digestive complaints does not necessarily mean that a food is OK. I find that this point is too often not stressed enough in the “alternative diets” (Paleo and others) as the focus is so much on digestive issues and sometimes it’s forgotten that someone can have no digestive issues and still benefit from a gut healing diet. Lentils are a HUGE part of the diet of a HUGE population of people in Asia, where I happen to live. Any thoughts/info on the agglutinins or other issues of lentils? I want to read this when I have more time…and am new to blogging. How do I save it? Sarah, really really helpful article. What is your opinion about Pea Protein that have the lectins removed? Apex Energetics says that their pea protein is lectin free which leads me to believe it is safe. But maybe not? Would you distinguish between products like that? I have had many of my AIP clients on it with no issues, but I am not testing their gut antibodies while they are on it due to expense for them. I’m not familiar with how they would process it to make it lectin free, so it’s hard for me to comment. In some cultures, corn and beans are “the staple diet”. They are cooked in so many ways… I am also curious about lentils, garbanzo, etc. I know there are not many studies, but whenever you have any ideas, it would be interesting to know! Thank you for all you present to us. 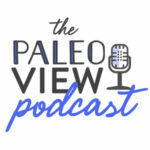 Years ago, I read about the Paleo diet and wrote it off as too restrictive. Then went on to slowly eliminate foods from my diet one at time that made me feel like I’d been kicked in the gut after eating them. First gluten, then dairy, then rice, corn and all grains. Eventually, I found that psuedograins such as quinoa also gave me an immune reaction as well (sun rashes, interestingly). 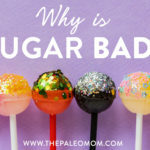 So instead of taking the advice of the Paleo diet, I did it in my own round about way, and came to nearly the same conclusion. After these eliminations by cystic acne cleared up, and my Hashimoto’s antibodies went from the thousands to around 8. The thing is that I love chickpeas. They don’t seem to bother me at all. Still, I’ve always been curious about what would happen if I went 100% Paleo and cut them out too. The problem is that I’ve since found that I’m histamine intolerant, so that cuts out all nightshades. It’s really frusterating. So far, everything that I have eliminated has been based on listening to my body. In the case of legumes, I would be eliminating based on advice instead of symptoms, and I hate watching my diet shrink like this. I feel the same way about eggs. Both of these foods make me feel pretty good. Would you recommend giving up foods that don’t seem to instigate symptoms? Or perhaps I’m just not aware of the symptoms they are producing. Every time I start thinking about making my diet even more difficult to manage, I sort of just shut down. Very informative! Your post is the first time I’ve heard of lectins. Thanks so much for sharing! Enjoyed reading this post. Learned a lot. Was really impressed that you encouraged readers to listen to their own bodies when making food choices rather than insisting things be done one way. Are you able to comment on agglutinins found in fruits, eg banana, apple? Hi Sarah! Just wanted to let you know that you did a great job. And of course your website popped out, which I am not really surprised! Anyway! Thanks for explaining it in a nice, clear way! Hopefully when I graduate I will be able to do some benchwork to provide more evidence for primal diet! I’ve eliminated almost all forms of beans and grains from my diet since having a lot of digestive (and other) issues except for white rice which has always been a staple food where I come from! Does removing the bran from the rice reduces/removes the lectin? ie. is white rice safe? Thanks! One point in the discussion is about the fact some of the foods that are highest in phytic acid are foods that are “safe” in the Paleo diet like green leafy vegetables. But in this case, it turns out that most lectins, especially the most well-studied ones like wheat germ agglutinin, PHA, which is in legumes, which is phytohaemagglutinin, they are deactivated by heat. These proteins are very sensitive to heat, and they’re destroyed. Check out the link below for a more in-depth look. What’s your thoughts on peas? Are they closer to the green bean/snow pea side of things? I think you’re my favourite writer on the web. 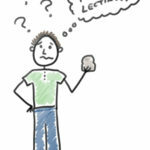 This is a very helpful article for those with gut issues as most people concentrate on FODMAPs and certain lectins in grains and legumes might be even worse. I’d like to know your position on white rice, as I understand most lectins are in the hull. Brown rice is believed to be a lot more toxic than white rice. White rice is a very high starch food that converts to 100% glucose, and as far as I know has very low toxicity. Other anti-nutrients are things like phytic acid (which you’ve covered) and opioid peptides in dairy, red meat etc. It’s interesting that all of these – lectins, phytates and opioid peptides originate from protein. Those who are trying to heal their gut and are just relying on the FODMAP diet (which deals with malabsorbed sugars only and allows brown rice and nuts) should look into these other antinutrients as well. My default diet is based on your articles on the Paleo autoimmune diet, which specifically bans foods high in the worst lectins, grains & legumes. I’m starting to feel normal again after decades of IBS. Thanks very much for your articles which explain the science so well. What is your view on Ezekiel sprouted bread or their other products for people without any gluten or other sensitivities? This is wonderful and I am so grateful! Finally putting it all together after 10 years of “sudden” food sensitivities and the effects of a long-term inflammation response. Thank you for your knowledgeable writing. On my way to find more of it! I need some help. I just watched something on this issue, and it seems that all the foods I was told to eat and WE are told to eat are WRONG!!! I need some guidance. I am going to buy a prebiotic and probiotic together, and a good one from Puritins Price, no more stuff from the drug store. I have had some problems for years now, and they might all be connected. But I need to talk with someone an get a kick start and direction. 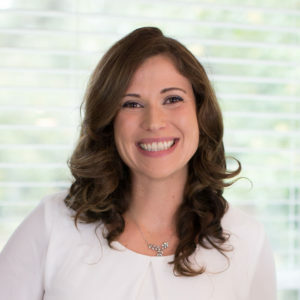 Hi, I wondered if there is any more information or perspective that Sarah could provide on the topic of Lectins given the new book “the plant paradox” and its claims that lectin avoidance can help heal autoimmunity? There seems to be a lot of conflicting information out there – like are zucchinis really that bad? 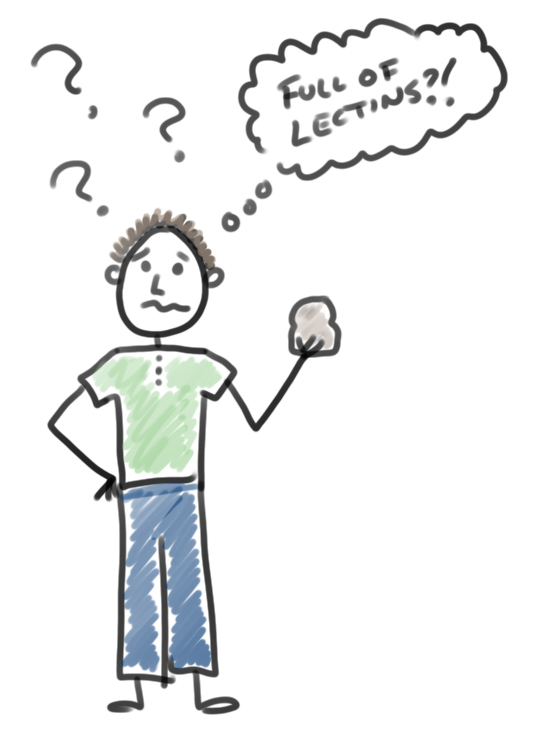 Somewhat surprised you guys are not at all familiar with The Plant Paradox book since it is very lectin oriented. I was scrolling through MSN articles and came across doctor Steven Gundry talking about the problems lectin can cause. FYI he is the author of the book. Being a vegetarian I was concerned about all the vegetables he recommended to eliminate from one’s diet as well as the fruits. 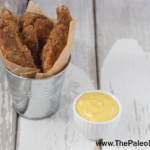 Not knowing much about the Paleo diet can a vegetarian relate to it?